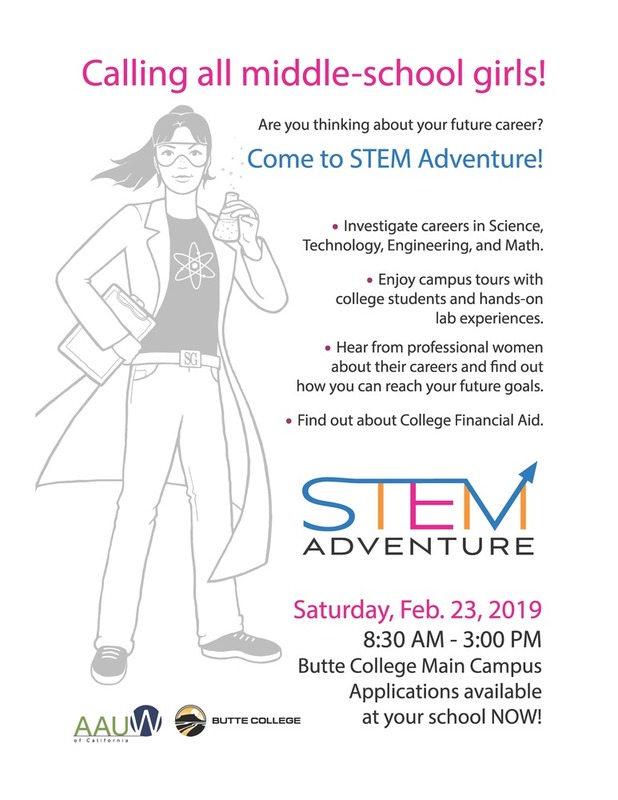 The American Association of University Women (AAUW), Butte County and Butte College have partnered to host a career exploration program at the Butte College main campus on Saturday, February 23, 2019. The STEM Adventure Day is an event for all 6th-8th grade girls to be exposed to and learn about careers in STEM. They will get the opportunity to hear from professional women that have careers in these fields, as well as do hands on activities to spark their interests in pursuing these rapidly growing fields of study.